Honda’s pickup isn’t like its RAM, Nissan, Dodge, Chevy, Ford, and Toyota brethren – and that’s not a bad thing. The Ridgeline is a unique compact truck, both in its diversity and interior qualities and its industry firsts. It’s not a heavy hauler, to be sure, but what it does, it does well – as you could probably have guessed since we’re talking about a Honda vehicle. For starters, the Ridgeline has a remarkably high-quality interior, with spacious seating and plenty of comfort amenities and top-notch features. It drives like a dream, and because most people who choose the Ridgeline intend for it to serve as their daily driver, it’s an exceptional choice. You can count on saving big when you shop for a pre-owned Ridgeline at Brannon Honda. Our low prices and special offers and incentives combine to bring you savings you may never have imagined – and that’s often the deciding factor when you’re shopping for a big-ticket item like a vehicle. Car shoppers in and around the Birmingham metro area trust Brannon Honda to give them incredible service as well as prices that are beyond fair and are practically irresistible. View our pre-owned inventory online to get an idea of what we have in stock. If you don’t see what you’re looking for, let us know. Our used vehicles sell quickly and we are constantly adding more vehicles to our selection, so we’d love to find the one you’re interested in and get it here for you to explore in person. The 2017 Ridgeline was a reintroduction three years in the making, and when the revamped model appeared on the scene, it was well received by Honda fans who wanted a comfortable, Honda-caliber family transportation vehicle that offered the cargo carrying capacity of a pickup but also the family-friendly features of a well-equipped car or SUV. Well-rounded and capable, the 2017 Ridgeline has a superior cabin with some of the best interior space in the class. What you might not expect in a pickup is a cabin that could easily be described as refined and sophisticated. That’s what the Ridgeline offers, though, making it a class leader when it comes to cabin quality. The bed of the Ridgeline is uniquely versatile, with a dual-action tailgate (it swings down like a standard tailgate and also opens to the side, door-style). It can fit 4-foot-wide items between the wheel wells, and inside, there are folding rear seats that can be configured in order to fit cargo items that you don’t want to transport in the open air. There’s a built-in trunk hidden underneath the bed that can hold an additional 7.3 cubic feet worth of cargo. And bonus: There’s also a drain plug so that the space can be filled with ice and used as a built-in cooler. Between the seven available 2017 Ridgeline trims – RT, RTS, Sport, RTL, RTL-T, RTL-E, and Black Edition – you’ll find an impressive selection of standard and available equipment, features that bolster safety, connectivity, entertainment, comfort, and more. No matter which trim you choose, the 2017 Honda Ridgeline is a fine example of Honda’s commitment to safety, engineering excellence, and lasting value. Why Should You Buy a Used Ridgeline from Brannon Honda? From Pelham to Hoover to Mountain Brook, drivers near our Birmingham dealership know and trust the Brannon name. Turn to us whether you’re shopping for a new or used Honda, regardless of your budget. You’ll quickly see that our commitment to customer satisfaction doesn’t just stop at making a sale, but continues throughout the financing process and beyond. We want you to be perfectly happy with the price you get on the vehicle you’ve chosen. 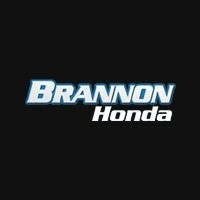 Visit us today and let us show you how smooth and easy the dealership experience can be at Brannon Honda.